I’d like to add one more point relevant to our understanding of Scripture (from here and here). This point bears less directly on the nature of the Bible’s composition and truthfulness and more on its interpretation and authority. I’m very much in process on this point and hope readers will appreciate the tentative nature of my comments. I’m test-driving this in an attempt to aim in the direction of where I think more settled conclusions are likely to be found. (6) SENSUS COMMUNIS, or a “communal reading” of Scripture — at least on the essentials. To be sure, there’s certainly a sense one could give to the notion of sola scriptura which is compatible with what we’ve already said in points 1-5. The Scriptures relay that sufficiently truthful historical-social-religious context necessary for the Incarnate One’s self-understanding and vocation. That (i.e., incarnation), we argued, was the primary point of creation and election of Israel. Naturally, it is to the Scriptures (and not to the Vedas, the Bhagavad Gita, the Avesta of Zoroastrianism or the Quran however profitable they may be) that Christians look to understand those events which ground their self-understanding, their religious inspiration and worship, their ethical core, and their missional/vocational calling. So there’s certainly a ‘sola’ to affirm in this sense with regard to Scripture as the authoritative source of Christian identity and vocation. If that’s all one means by sola scriptura, I don’t know any Christian who would disagree. But this is not the popular understanding given to sola scriptura by the Evangelicals I grew up with. What’s typically meant is not only that the Scriptures are the authoritative source of doctrine and theology for the Church (there’s agreement there) but that the individual believer is the final arbiter in determining doctrine and belief for him/herself, a kind of creedal sola fidelis (the ‘believer alone’, i.e., ‘my’ reading of the text is the authoritative one for me). As such sola scriptura entails a certain mistrust of community and with that, of course, of tradition. No surprise on the minimal regard for tradition among Evangelicals. But it may surprise our Evangelical friends who value their identity as ‘relational theologians’ to hear someone suggest that they are in effect isolationist when it comes to finally deciding what the Bible authoritatively teaches; so let me try to describe where I’m coming from. ‘Community’ is promoted as an essential value at the heart of life and belief by relational theologians (like open theists). God and creation are about ‘community’ — communal identity, communally defined and driven mission, crossing traditional boundaries in cooperative efforts to forge a wider and deeper sense of community (because that makes us more like the trinity of divine persons who have their being and identity in community), etc. You get the point—‘being is communion’. But so far as I can tell this doesn’t translate into how we (Evangelicals of the ‘relational’ sort) finally interpret Scripture, more specifically how the authority of Scripture to determine belief and doctrine is negotiated by the individual. For when it comes to this authority, it seems the individual considers him/herself to be the final arbiter in saying just what that authoritative teaching is. Scripture’s authority effectively reduces to the individual’s authority (to interpret and decide for him/herself). On this point little of the concern for ‘the relational’ survives into how those of us who otherwise value relational being end up determining our faith and identity as Christians. What happens in Evangelicalism is the individual takes sola scriptura to mean Scripture’s authoritative meaning is ultimately fixed for the individual by the individual alone — sola fidelis (the believer alone). After all, individual believers are indwelt and empowered by the Spirit. Shouldn’t this mean final arbitration on matters of interpretation and doctrine, indeed, in saying just what “Christianity” essentially is, rests with each individual believer? Shouldn’t the Spirit’s indwelling and enlightening the individual believer mean the individual is where the Scripture’s authoritative meaning is determined? Only “I” can say what the Christian faith finally is, what its essential beliefs are, etc. True, I’d be wise to listen to other voices, ancient and modern, but in the end, only “I” can finally say what “the faith” is, what “the Church” is, etc. Here the authority of Scripture to settle faith and practice is taken not to describe the boundaries within which the Church is to ‘say together’ what the Church is and believes; rather, that authority is reduced to the individual standing before God. I’m just wondering if this is really the best way to go. Without wanting to suggest that individuals not read and interpret Scripture but just let other church authorities read it for them and tell them what it means and what they’re to believe (an equal but opposite abuse), I do want to suggest that something is amiss with the sola fidelis reading. The Church after all is Christ’s “body,” a “community,” a “communion” of faith and identity formation. Only that community as a community can decide who they are, what they believe, and what they exist for. To argue that every individual believer is authorized by God to define the Church for him/herself and its faith, as indispensable as the individual is, looks like a failure to maintain a ‘relational ontology’. An irreducibly relational ontology would, arguably, mean a relational or communal reading and understanding of Scripture (sensus communis). I am, for better or worse, a Protestant, but not because I believe Protestantism has achieved a measure of community or interpretive accuracy that rivals Catholics or Orthodox. Arguably we Protestants have sunk to lower measures on these matters. Who but Protestants can reinvent the Church every generation or divide themselves into what must by now be hundreds of splintered factions each claiming to have reclaimed the faith and practice of the earliest believers? Whatever value sola scriptura might have for Christian unity, Evangelicals have failed more than any other tradition to achieve or demonstrate it. Now that every individual believer is deputized by the Spirit to determine the meaning of Scripture and identify what the Church and her essential faith commitments are, every believer just is his/her own Church, own faith, own mission. I don’t have any safe, trouble-free path from the ‘text’ (which we all agree speaks with authority) to individual believers, but it seems to me that the Church as a community ought to share in the mediation of this authority if we’re going to be ‘relational theologians’ through and through. This is why I suggest sensus communis, a relational-communal reading of Scripture. One way to approach this which might help suspicious Evangelicals warm to the idea is to consider that fact that Evangelicals are already implicitly committed to the communal mediation of Scripture’s authority and to a certain extent its key doctrines as well, in their acceptance of the traditional canon. The very texts Evangelicals hold to be authoritative Scripture and whose key doctrines they reserve the right to determine for themselves (as individuals) were in fact settled on by councils on the basis of, among other things, their teaching. These writings and not others were adopted as canon in conciliar agreement on the basis of a shared reading of their content and teachings. 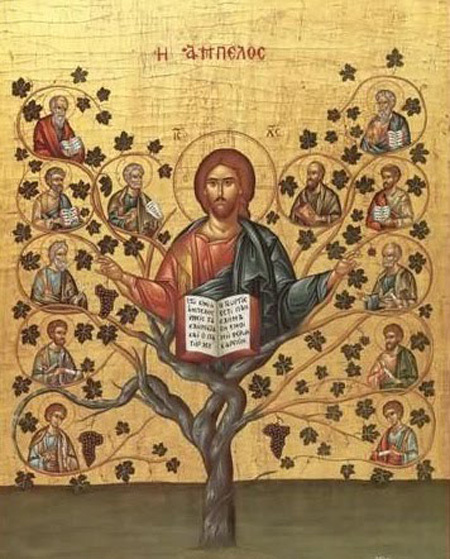 But we cut off the branch we’re sitting on if we agree that these books are our authoritative canon fixed by conciliar agreement but then reject that same authority when it comes to definitive questions of faith and interpretation. It was the authority of conciliar agreement that settled on which texts in fact embody Scriptural authority. So if we accept the standard canon without conducting our own investigation of all the relevant literature to establish the canon for ourselves as independently as we want to interpret it (! ), we are implicitly accepting the authority of the Church’s conciliar agreement to determine for us which books shall speak to us with final authority. But it makes little sense to accept as authoritative the conciliar-communal agreement which fixed those texts we take to be authoritative Scripture and then dismiss the authority of that same community on matters of interpretation. How do I dismiss the authority of a Church on the basis of authoritative texts whose identity as Scripture I accept on authority of that same Church? Unless I’m going to fix the canon as independently as I want to interpret it, I’m implicitly presupposing the authority of the councils/agreements that gave me the Scripture. The authority of Scripture, then, is mediated communally to me already. I just thought this is a point lost on most Evangelicals and worth considering. 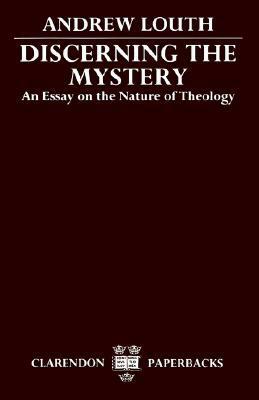 Recent conversations regarding the nature of divine transcendence and language bring to mind Andrew Louth’s excellent Discerning the Mystery: An Essay on the Nature of Theology (1990). Father Stephen discusses it a bit on his blog, as does Aaron Taylor. But the entire essay is also available online (and shared here). NB (7/31/2014) I see that Scribd has removed the online version of Louth’s book. You may find it here. 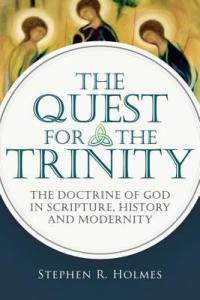 Stephen Holmes’ The Quest for the Trinity (2012) is on my to-read list (toward the top, when I get the cash) and is the topic of discussion of Dale Tuggy’s interview with Holmes. It’s an informative and helpful discussion. And you’ve got a second very interesting interview on the book with Holmes here. Thanks to Dale for landing such great interviews. Continuing our thoughts on Scripture from Part 1. (3) FUNCTIONAL INERRANCY. In what sense must the Scriptures be sufficiently truthful, then? That’s difficult to say. But to venture an answer at this point, we’d say first that its being difficult to say shouldn’t be a reason to conclude that Scripture is absolutely error-free. Secondly, and more specifically, we’d suggest that Scripture ought to be a sufficiently truthful source for Christ’s first-century self-understanding as fulfiller and executor of God’s promises to Israel and the redemption of the world. Third, its truth should be sufficient to inform and facilitate human transformation into Christlikeness. In a word, it must be sufficient as a means to the rightly perceived ends for which Christ self-identifies and suffers as the ground for Christian discipleship and character transformation. Much of our modern problems surrounding the question of inerrancy stems from our desire that the Bible be much more than this. Thus we’re essentially arguing that Scripture is ‘functionally inerrant’ where its function is understood first to be the securing of a worldview adequate for the development of the Word’s incarnate self-understanding (identity and mission) and then secondly as a means for character formation into Christlikeness. No particular text need be required to do all the lifting. No one text need embody all the relevant truthfulness sufficient for these ends. Indeed, errors may exist within Israel’s understanding of God and themselves as his people, and these errors may be expressed within Scripture. That’s rather to be expected. In our view there’s no need to suppose that Christ or any of the apostles were inerrant in every belief they held. What’s required is adequacy of function relative to Incarnation and character formation. The Old Testament is thus for Christ before it is for us, and it is only for us insofar as it is understood through him. Israel’s religious traditions and history of relationship with God need not be inerrant in every recorded detail of every text on every level. Rather, the cumulative tradition on the whole has to be capable of functioning as an adequate context for Christ’s self-understanding and mission. And the resurrection assures us we have that. What are those sufficiently truthful aspects of the biblical narrative without which we could not make sense of the empowering role it played in forming Christ’s self-understanding? Among them are surely the truth that there is One God, that God created the world, that God chose Israel as the context in which to pursue his wider purposes of redemption, that this pursuit included the divine promise of a descendant who would be the means of universal blessing, etc. These can doubtless be expanded upon. But if Christ was fundamentally mistaken on these in his message, it’s difficult to see what God is in fact validating by raising him from the grave. 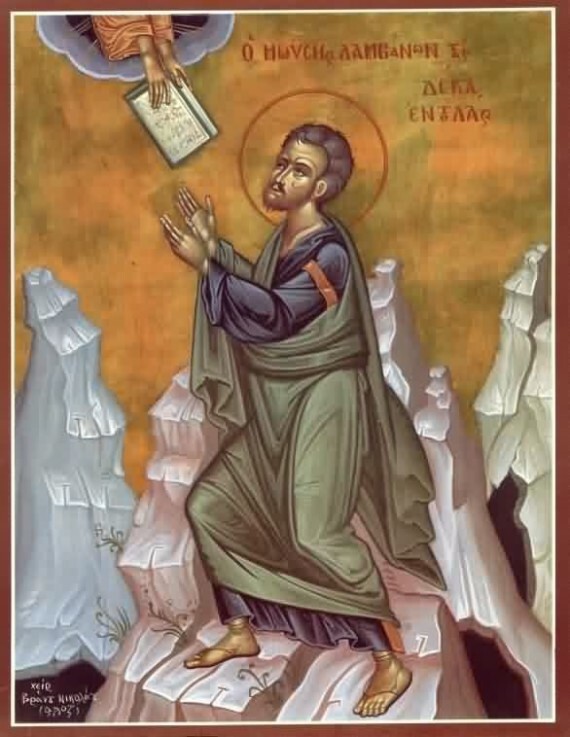 But since Christ did self-identify in such terms and since this self-understanding is fundamentally vindicated by God’s raising him from the dead, Christ can be said to embody, as any telos does, its true anticipations, the only truth of the Old Testament worth being ultimately concerned about. Whatever else may be false in the text, it matters not to the truth that matters at all. And it is simply false in light of the resurrection that if there be a single error in any textual claim then all is lost. The Bible functions without error in its demonstration of the truth/falsity of all things relevant to the identity and mission of the risen Christ and his execution of the promises of God for our redemption and transformation. How then do we know whether any biblical claim is true or false? How do we know which is which? In many detailed cases we simply cannot know. But the broad strokes can be confidently perceived. Still, in the necessary respects we require, Scripture’s truth is self-authenticating to faith. That is, where its narrative is believed and lived in and through Christ, it either proves itself truthful in all the ways we require (i.e., it saves, it heals, it transforms and perfects us) or it does not. This is where Scripture functions inerrantly in us relative to our identification with Christ. Personal transformation into Christlikeness is the purpose and proof of the only inspiration we should concern ourselves with. To want something more or other than that tends to idolatry. We have no fail-safe methodology for always distinguishing true from false claims. We do agree that texts are to be assumed truthful until shown otherwise. This is universally how we manage communication. And the primary thing to keep in mind regarding biblical texts is their relevance to those beliefs Jesus held which were also essential to his possessing the self-understanding necessary to his being the means by which God redeems the world and brings it to fulfillment. All we have is a risen Christ who truthfully identified his own life, mission and resurrection as the fulfillment of God’s choice of and covenant relationship with Israel and who invites us to live the life he lived. (4) CANONIZATION OF HISTORY. In choosing a particular man and his descendants to be the context into which God would incarnate, God chooses to identify himself as a covenant partner with Israel, and that means with her successes and failures, with the truth they perceive and the falsehoods they embrace, with the violence they pursue and the good they manage to achieve. It all gets chosen by God as the space in which God’s incarnational and redeeming work is embodied. This space is fallen but not so hopeless as to be void of all truth. God remains committed and engaged. In choosing Israel God is choosing the whole world. He simply chooses to work within this nation with respect to securing a context adequate for the Incarnate One who will mediate God’s purposes universally. We are thus arguing for the canonization of Israel (as opposed to her texts per se) as the sacred space within which God creates the conditions sufficient for incarnation. Are the OT ‘texts’ inspired? In the sense that these writings are the written record of that created covenantal space God has sanctified for pursuing his incarnational purposes, yes. And it’s a mixed history; a history of misconstrual, of despairing nationalism, of religious hubris, but also of honest praise and humble dependence upon God. It’s a history that sufficiently succeeded at preserving the socio-religious conditions necessary for incarnational vocation. Israel is that space in the world where God does not give up on carving out a worldview sufficient for incarnation. They got it right enough for what ultimately mattered. What is truthful then is the manner in which Israel (her worldview and actions as inscribed as Scripture not just in Scripture) and we alike are confirmed or judged (whichever the case may be) based on Christ our telos. We really do read the Old Testament in light of Christ apart from whom the Old Testament is simply a narrative with no conclusion. And here the conclusion interprets the previous chapters—where those chapters were going, where they get it wrong or right, what they mean, how they matter or not, and how and where they demonstrate the transforming judgment of Christ which embraces and defines us all. (5) CHRIST-CENTERED READING. How do the OT texts function “usefully…” as Paul suggests they do (2Tm 3.16), “…for teaching, rebuking, correcting and training in righteousness”? Only as read and understood through Christ. For Paul, there simply is no usefulness to the OT texts outside of Christ. Furthermore, this usefulness is for teaching, rebuking and correcting relevant to development of Christlike character and the doing of good works. Thus, the OT can be trusted when read Christologically to shape godly character and to empower the doing of good. That’s its purpose. Uses outside of this narrow purpose, whatever they are, are not explicitly embraced by Paul’s belief in the purpose of Scripture. But traditional ‘inerrantists’ implicate the truth of any biblical claim in the truth of every other claim, so that if any link in the chain proves false, the purpose of Scripture fails utterly. We view the relationship not as links in a chain, one after the other and so on, but as bodies orbiting a center, and that center is the risen Christ. Christ exercises a gravitational pull, so to speak, over all of Israel’s traditions and texts which revolve in their orbit around Christ, sometimes approaching theological truth better than at other times. So where inerrantists typically see the truth of any one text (say, the text claiming Christ rose from the dead) as implicated in the truth of every other text (say, an understanding of Jonah as literally swallowed by a great fish), we suggest viewing the truth of all texts as relative to Christ, so that Christ becomes the determiner of the relevancy of Scripture as a whole, the same way the Sun is the central force that determines the course and trajectories of those bodies that rotate around it. To what extent is the course trajectory of a planetary body ‘accurate’? To the extent that it maintains its course relative to the Sun, not relative to the orbits of other planetary bodies. However, Paul claims “all Scripture” is God-breathed (2Tm 3.16). Isn’t that equivalent to claiming all Scripture is equally truthful and thus inerrant? Not necessarily. For example, humankind is also “breathed into” by God and becomes a living soul and yet retains this “God-breathed” status even as fallen and prone to error. He inevitably remains the consecrated space in which God works to secure his incarnational purposes. Similarly, all Scripture is God-breathed in the sense that God is choosing all of THIS history — good and bad, true and false—as the sanctified space in which God works to prepare an adequate social-religious context for Incarnation and redemption. With the publication of Five Views on Biblical Inerrancy (2013), Evangelicals continue their on-again off-again conversation about the nature of Scripture (its inspiration, authority & truthfulness). Peter’s Enns’ Inspiration and Incarnation (2005) brought what was a back-burner issue and moved it front and center. And it looks now as if another WTS Old Testament prof is in trouble. Similar to Enns is Kenton Sparks’ (2012) Sacred Word, Broken Word: Biblical Authority and the Dark Side of Scripture (centered more on the question of divine violence). A slightly different perspective on the debate can be found in Craig Allert’s A High View of Scripture? The Authority of the Bible and the Formation of the New Testament Canon (2007) which we’ve introduced already. Allert approaches the subject of what the Bible is and what it’s for within the context of the development and determination of the canon. Very worth the read. I liked it just for the different approach it offers. In response to challenges to traditional evangelical views, Do Historical Matters Matter to Faith? A Critical Appraisal of Modern and Postmodern Approaches to Scripture (2012; eds. Bock, Hoffmeier, Magary) offers a conservative evangelical view. And with the increasing adoption by evangelical scholars of an evolutionary understanding of human origins (and others that view Genesis 1-3 as indifferent to the question of origins), the question of ‘inerrancy’ is fully front and center once again, as is evidenced by the Evangelical Theological Society’s 2013 Annual meeting in Baltimore dedicated to discussing the question—yet again. Dwayne and I thought we’d like to share some of our thoughts on this important matter. These are not final conclusions by any means. We have questions on aspects of this issue like others do and would like to offer a few suggestions as a way to process how we’re coming to understand Scripture as uniquely inspired. (1) ISRAEL AND ITS HISTORY AS A SUITABLE CONTEXT FOR INCARNATION. Our first suggestion is to place the incarnation at the center of one’s understanding of God’s unitive purposes for creation and view Scripture as subservient to these ends. If God is to incarnate and as an individual develop his sense of a unique identity and mission, he needs to be born into a cultural-historical-religious context sufficiently truthful to inform that development. No one develops an understanding of who they are and what their destiny is apart from these contexts. So the question of a context sufficient to shape the Incarnate Word’s embodied worldview and self-understanding is paramount, and in our view that is what Scripture is primarily about. The Word could not have been born randomly into a culture which was not an adequate means of identity formation. Creation is the context for incarnation to begin with, yes, but beyond that the construction of a suitable context for identity formation is what God’s choice of Abraham and Israel is fundamentally about. All else extends by implication from this single purpose. Thus the history of Israel — her identity as a nation, her calling, her religious traditions and her Scriptures — is the context that will inform the development of the Word’s identity and mission. This context must be sufficiently truthful for that purpose. And the place this history is primarily embodied is, of course, Israel’s Scriptures. The worldview housed in that tradition will become the context in which Christ develops his own sense of identity and mission in the world, communicates that identity and mission to his disciples, and is finally empowered to fulfill that mission on the Cross. Hence that context needs to be sufficiently truthful for this purpose. This is demonstrated when we see Jesus in fact identifying himself and his mission in terms of being the fulfillment of Israel’s religious traditions, hopes and her unique calling. And the truth of that identification is not incidental to the fulfillment of his mission through death by crucifixion. It empowers Jesus to endure the Cross and is further validated by the resurrection. We should conclude therefore that Jesus’ first-century, contextually defined self-understanding is sufficiently truthful to govern his sense of unique calling and to empower him in the pursuit and fulfillment of it. This is what the NT means when it speaks of God validating Christ’s identity and mission by raising him from the dead. (2) SCRIPTURE AS INSPIRED. We imagine the human authors of Scripture inspired by God in much the same sense that God inspires anybody — through the prevenient grace of his presence working in cooperation with what is present on the human side of the equation. Hence, inspiration achieves greater or lesser approximations to the truth as it works with and through the beliefs and limitations of authors. What makes the Bible unique as God’s word, then, is not the manner or mode of inspiration (which we think should be understood as typical of divine inspiration universally), but the subject matter with which God is concerned. It is the ‘what’ and not the ‘how’ which makes the Bible unique, i.e., the content and its purpose which in the case of Scripture make what is otherwise the standard mode of God inspiring human thought to be something unique and unrepeatable. Biblical inspiration, we might say, is unrepeatable because this history, this context, this pursuit of this purpose (incarnation) are all unrepeatable and not because God inspires humans ‘here’ in some unique and unrepeatable way. Where it concerns “texts,” inspiration is not God conscripting merely the faculties of human subjects and supervening upon their exercise to compose statements which might have been foreign to their human authors prior to the composition of the text. Rather, inspiration has as its object primarily the enlightenment of the human author, perhaps over the course of years through many experiences, and only secondarily the complexities involved in seeing that texts are composed a certain way. For example, a text like Galatians simply is Paul — in all the complex relations and beliefs that defined him at that point in time, including God’s presence at work in him, perhaps over decades, sufficiently shaping his worldview. Once that is done, simply put a pen in Paul’s hand and leave him to say what he believes. Hence, the letter is no more or less than who Paul the believer had become at that point. God is no more present in the letter than he is in the man who writes. So inspiration doesn’t, it seems to us, write texts per se, as much as it shapes persons who are freed to speak and write what God has done in them. What’s wrong with the Ontotheological Error? Since Marilyn McCord Adams has been front and center for a few days, you might enjoy her address “What’s Wrong with the Ontotheological Error?” last Fall in Baltimore at the annual AAR & SBL meetings. You can listen to it here or read it published at The Journal of Analytic Theology. With this post we conclude the relevant portions of MMA’s Ch. 5, beginning with Part 7 and continuing right on to this Part 10. Once this ruminates a bit we’ll return with a post to process her arguments out loud. (T10) it is metaphysicall possible for a primary substance x that is essentially of substance-kind K also to possess/be/come to be of substance-kind K’ (where K is not the same as K’) contingently and non-essentially. (T13) it is metaphysically possible for any creatable substance nature to be ontologically dependent upon something else as its subject. In the Categories, Aristotle advances individual substance things as necessarily primary substances, the ultimate subjects which it is metaphysically impossible to subject to (in the sense of ontologically dependent upon) anything else. Aquinas, Scotus, and Ockham concede that Aristotle not only captures the way things for the most part are. He gives a correct analysis of the metaphysical default position: apart from Divine intervention, individual substance natures will be primary substances and no creature has power to subject them to (make the ontologically dependent upon) anything else. But they reasoned that the case of Incarnation reveals something about individual substance natures that Aristotle was in no position to know: viz., that each and all of them has the metaphysical possibility of being subjected to (made ontologically dependent upon) something else by Divine power. 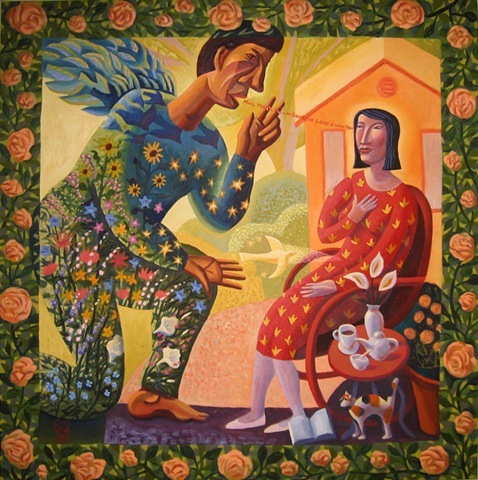 Ockham went on explicitly to draw the conclusion that not only Divine persons, but each and every created individual substance (e.g., Socrates, Beulah the cow, Brownie the donkey, Fido the dog), has the metaphysical possibility of being an “alien” supposit for a created individual substance nature of another kind. My suggestion is that these metaphysical revisions complicate our semantics. Once it is claimed that not only Aristotelian accidents but individual substance natures can be ontologically dependent, once it is admitted that alien supposition is possible, then one has to relativize the predicates to the substance nature in question: not just “x is F” but “x is F qua N.” Where N is the nature that x cannot exist without, then “x is F qua N” collapses into/entails “x is F.” But where x is an alien supposit of N, “x is F qua N” does not entail “x is F.” Suppose God caused Socrates to assume a bovine nature. From “Socrates is rational qua human” we could infer “Socrates is rational simpliciter” because Socrates is essentially human. But from “Socrates is not rational qua bovine” we could not infer “Socrates is not rational simplicity” because Socrates is not essentially a cow but only an alien supposit of the bovine nature. Socrates would really share the same substance-kind — bovinity — with Beulah. Both Socrates and Beulah would be cud-chewers qua bovine. But Socrates would not share with Beulah the predicate “cud-chewer simpliciter” because of the way Socrates possesses bovinity. Likewise, “the Divine Word is omniscient qua Divine” entails “the Divine Word is omniscient” because the Divine Word is essentially Divine. But “the Divine Word knows neither the day nor the hour qua human” does not entail “the Divine Word is ignorant simpliciter,” because the Divine Word is an alien supposit of the human nature. This result is not un-Chalcedonian, however, because the difference between valid and invalid inferences from the secundum quid to simpliciter propositions does not reflect the content of the human nature predicated but the different ways in which Socrates and Christ have their natures. Chalcedon requires us to attribute a real human nature — a real human body and a real human soul — to Christ. But Chalcedon also requires us to attribute them to Christ in a different way from the way we attribute them to Socrates. Qualifying the predicates captures the point that the subject is characterized or denominated by the nature for which it is an alien supposit. Since it is not characterized simpliciter, you do not get contradiction — which is the very result we want. If one asks what I mean by “qua” when I say “x is F qua N,” I mean that N is the nature by virtue of which x is F. But “by virtue of which” is ambiguous between two meanings, both of which I intend. In some cases, N is the nature by virtue of which x is F because N entails F: e.g., “Socrates is rational qua human” “the Divine Word is omniscient qua Divine.” In some cases, N is the nature by virtue of which x is F because N entails the real possibility of F. In Aristotelian metaphysics, the substance nature makes a thing of such a kind as to have accidents from various determinable ranges and not to be able to have accidents of other kinds: e.g., being an angel makes something the kind of thing that can have thoughts and choices; being a body makes something the kind of thing that can be colored. Being human makes the Divine Word the kind of thing that can eat figs, but it doesn’t settle the question of whether He will actually eat figs during His earthly life. One further point requires clarification. My soteriological plot requires God to perform human actions and to suffer human pain and grief in roughly the ways that the Gospels describe. 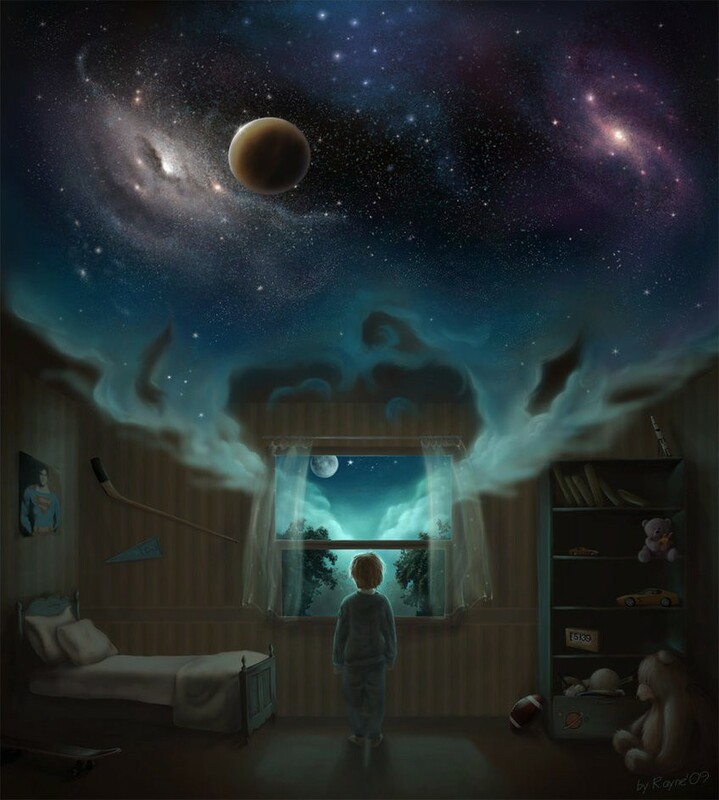 It is easy to imagine, however, that since the Divine Word is essentially God the assumed human nature is like a ventriloquist’s puppet which the Divine Word operates through Its Divine thought and will. Divine determinism is, of course, an ancient and honorable if controversial position in philosophical theology. Certainly, medieval Latin school theologians agreed that God creates and sustains all creatures, and concurs in the exercise of their active and passive causal powers. Certainly, the Blessed Trinity will do for Christ’s human nature whatever the Blessed Trinity does for any other creature — create, sustain, and concur. What is important for present purposes is to see that our medieval Aristotelian account of hypostatic union does not, by itself, imply the determination of the Divine Word’s human agency by Its Divine agency, or that the Divine Word is related to Its human agency only through the mediation of Its Divine agency. This is easier to see by considering the different example of Socrates’ assuming (becoming the alien supposit for) an individual bovine nature. When Socrates chewed cud or swatted flies with his tail or became agitated at the swishing of the matador’s red cape, his human nature would not ipso facto be engaged at all, for his human nature included no power to mobilize such bovine activities before, and acquires none with the hypostatic union. Socrates’ acting and suffering through his bovine nature would be unmediated by his human nature. Socrates is the ultimate subject of bovine acting and suffering because of the ontological dependence that the individual bovine nature bears to him. My focus on horrors leads me to agree with Swinburne that the Divine nature is mutable and passible, although ever exercising self-determination over whether and how it changes. Taking a page from Hartshorne, I want to say that Divine omniscience involves God in feeling all our feelings, while Divine love for the world expresses Itself in the Trinity’s experiencing God-sized grief and frustration over human horror-participation. Such Trinitarian sympathy would mean the Godhead changes and is very likely acted upon. But it would not suffice for Divine solidarity with humans in horror-participation, for, however ghastly the things that we and God experience, the Divine mind cannot be “blown” by them; Divine meaning-making capacities cannot be stumped by them. God’s comprehensive consciousness recontextualizes them in a field that includes joy and delight in the Divine perfections, in the Divine persons’ love for one another, in cosmic excellences beyond our ken (See the YHWH speeches in Job 38—42:6). Even in the midst of horrors, Divine imagination already sees a way around them, Divine power is mobilizing ways and means to make good on them, not only globally but within the frame of each and every individual horror-participant’s life. As Anselm says, Divine Wisdom doesn’t start what it can’t finish, and Divine Power always finishes what it starts. Put otherwise, even if Divinity is mutable and passible, the Divine Persons in Their Divine nature are not vulnerable to horrors. For God to share the horrors, God has to become a kind of thing that can be radically vulnerable to horrors. And this will require a finite range of consciousness with limited powers to cope.